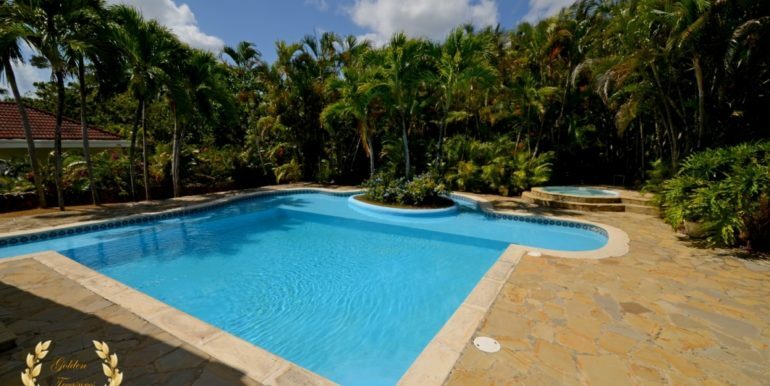 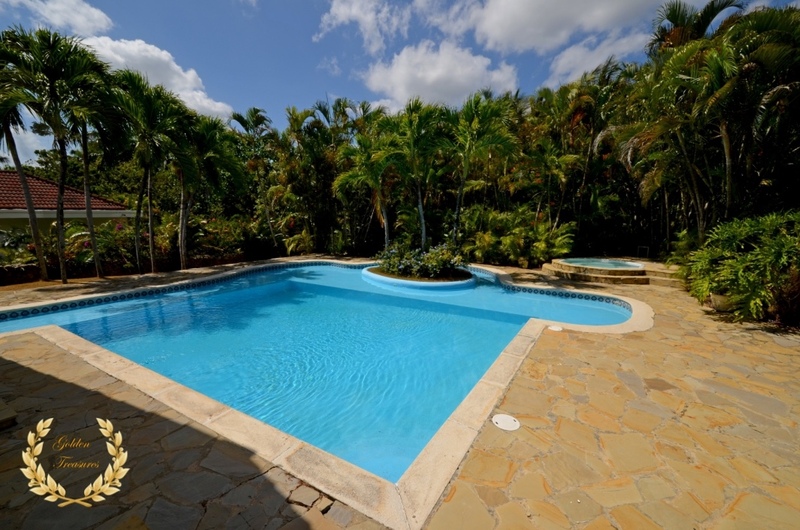 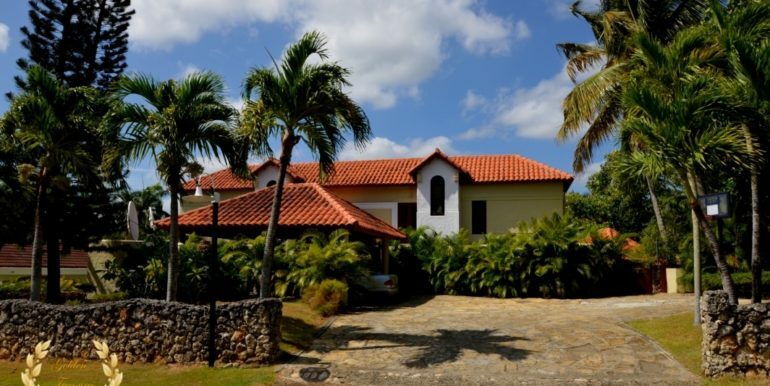 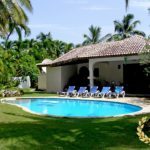 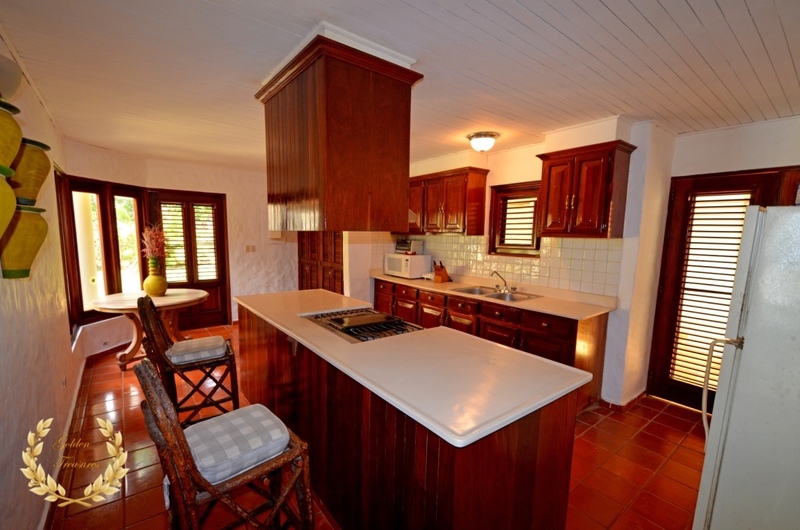 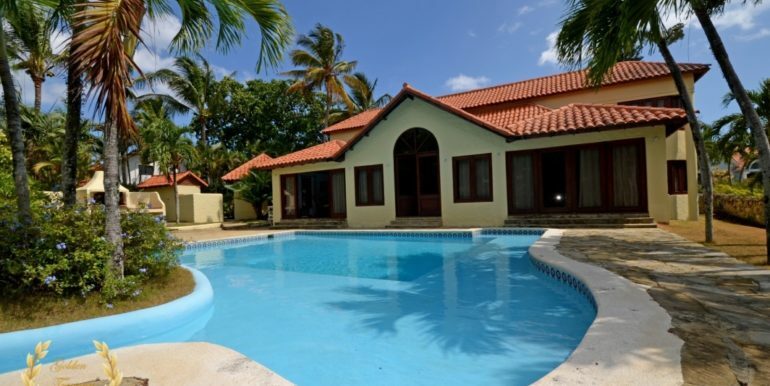 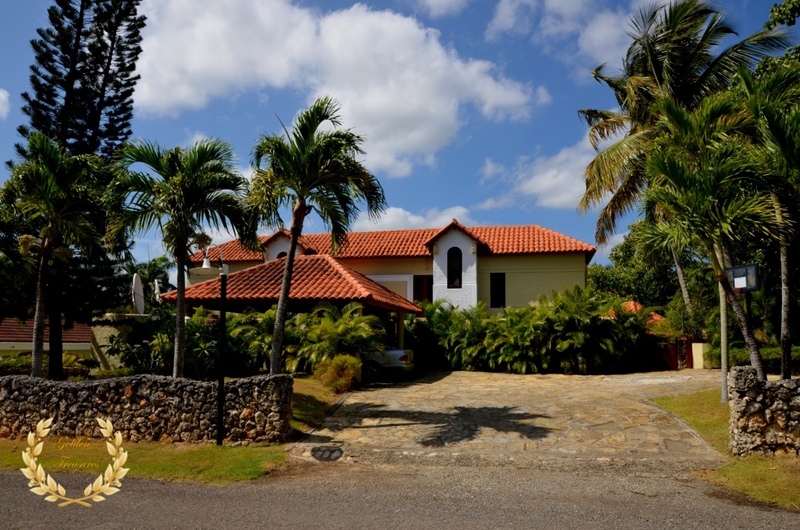 Beautiful classic villa for sale in a very prestigious beach community of Cabarete, Dominican Republic. 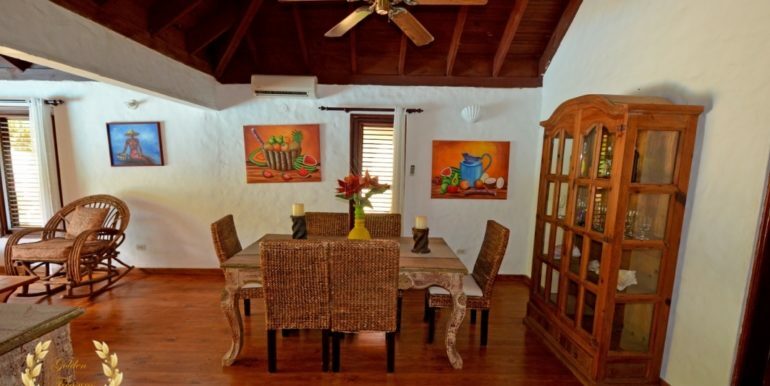 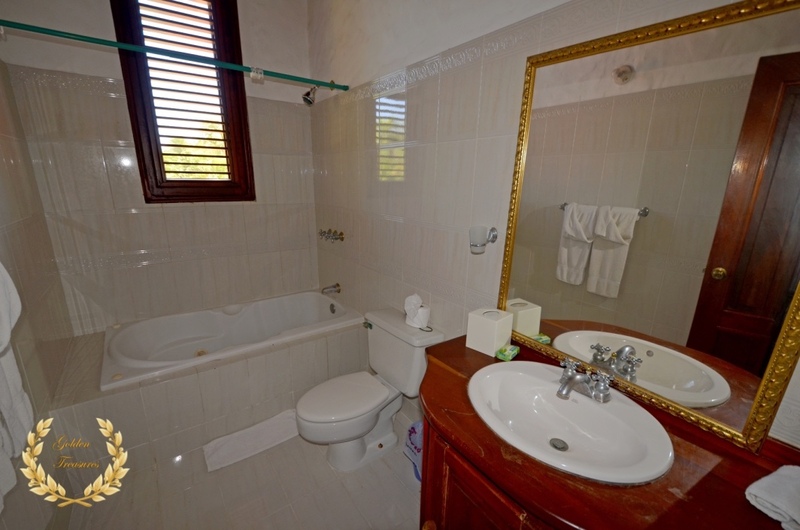 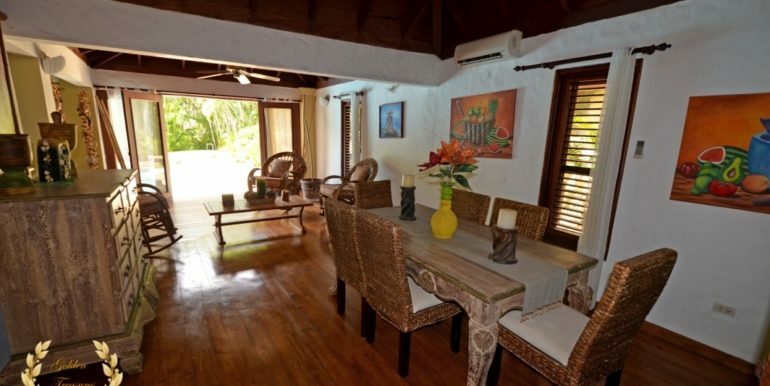 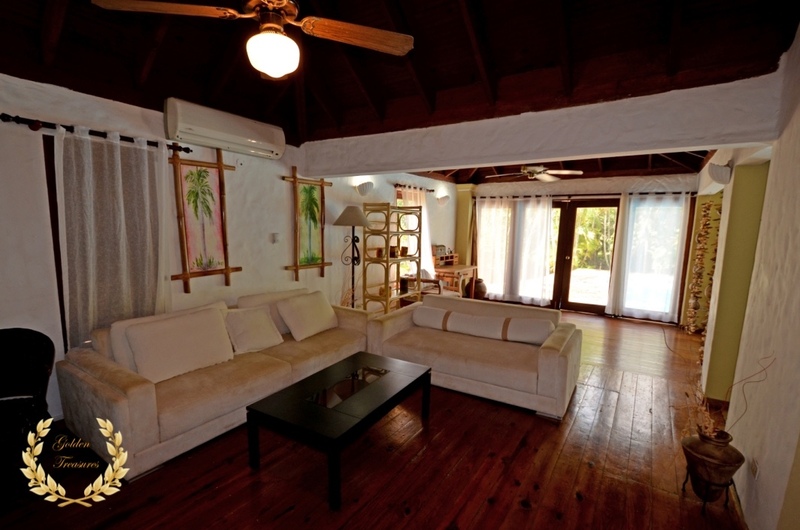 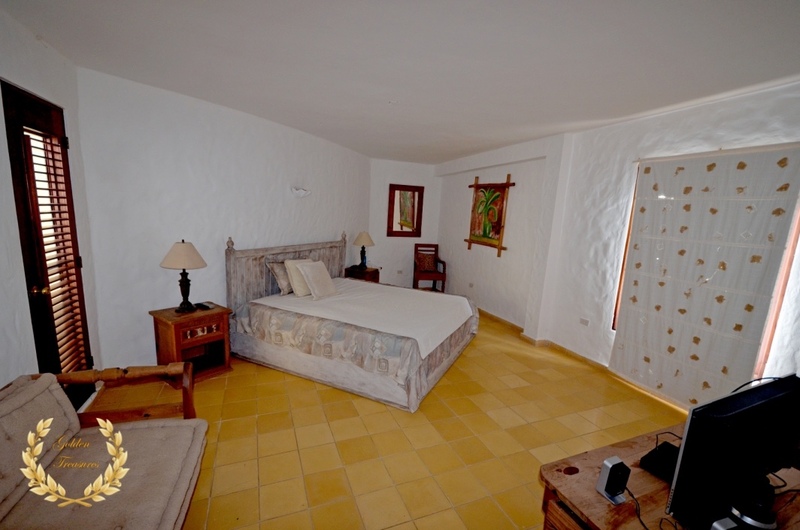 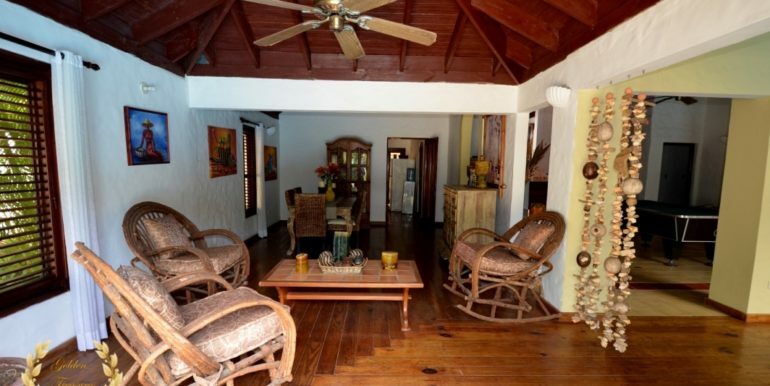 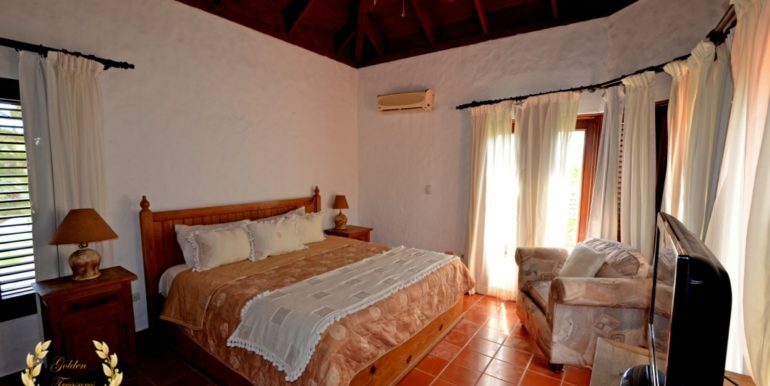 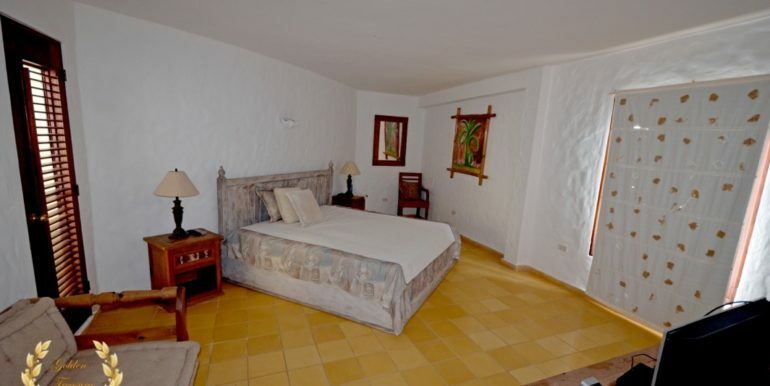 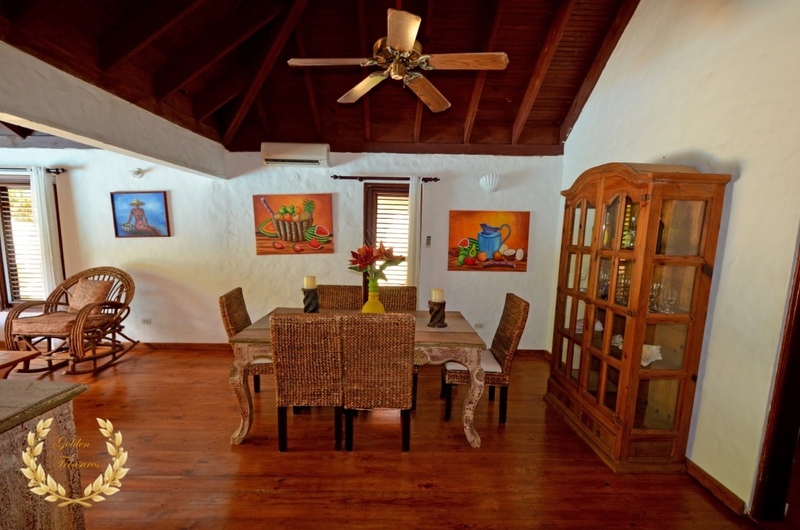 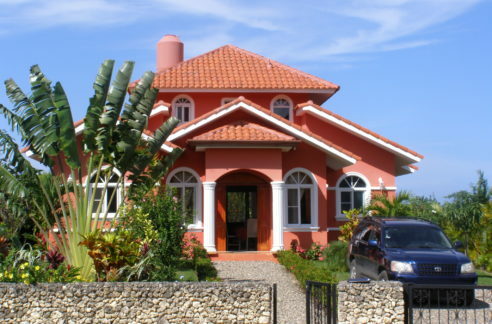 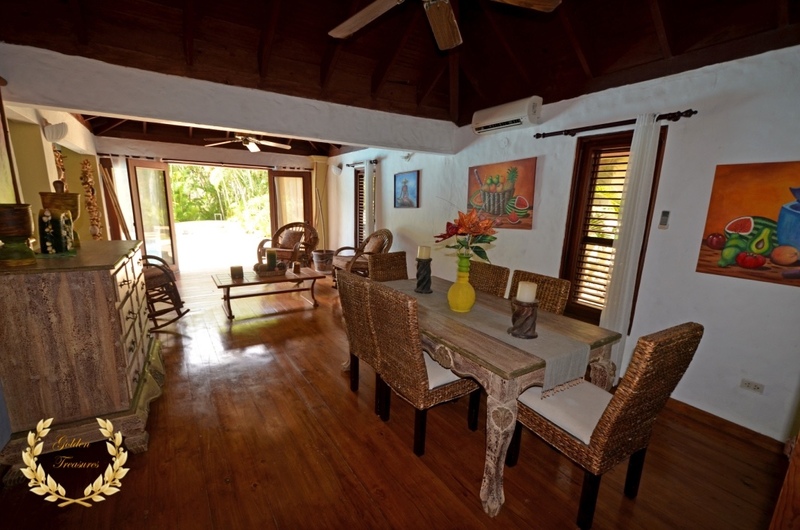 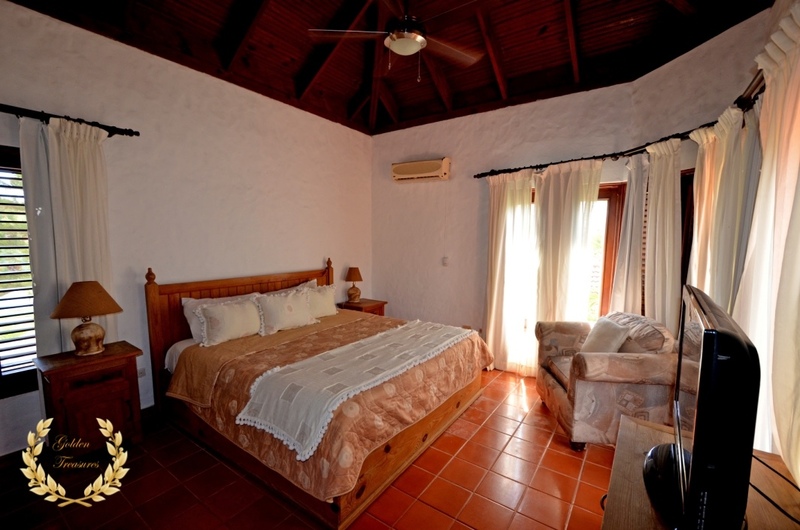 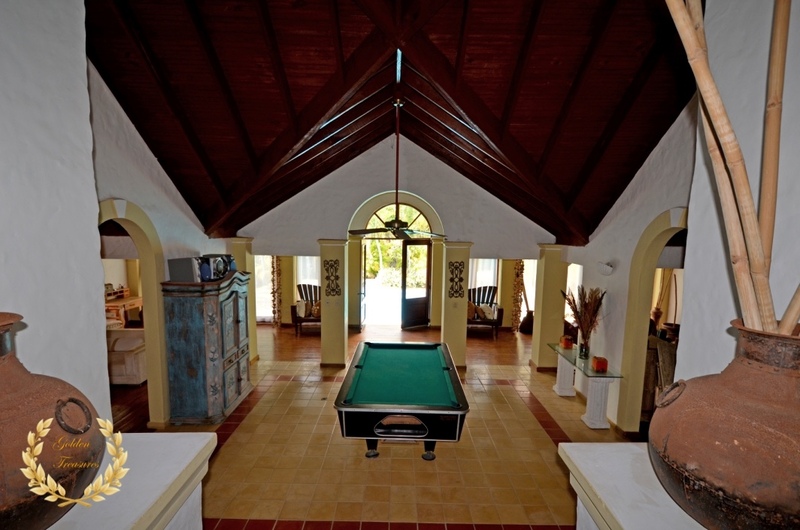 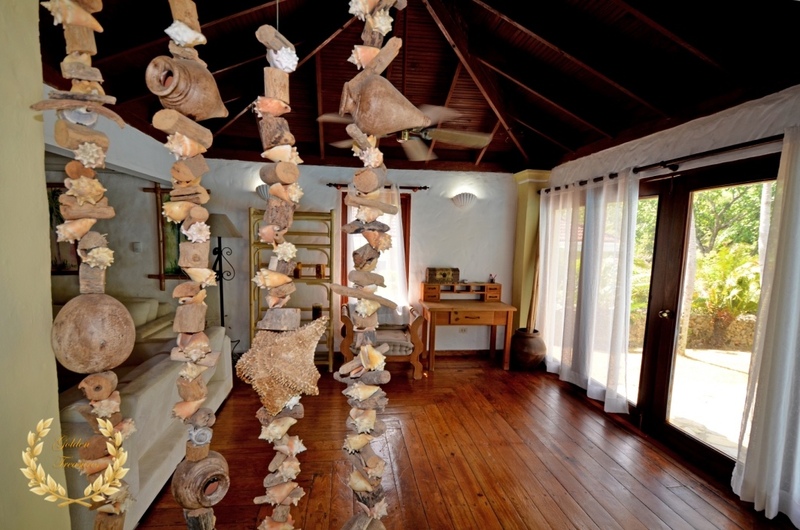 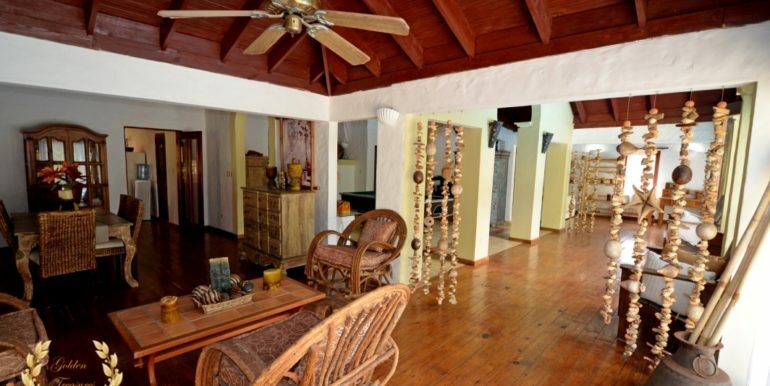 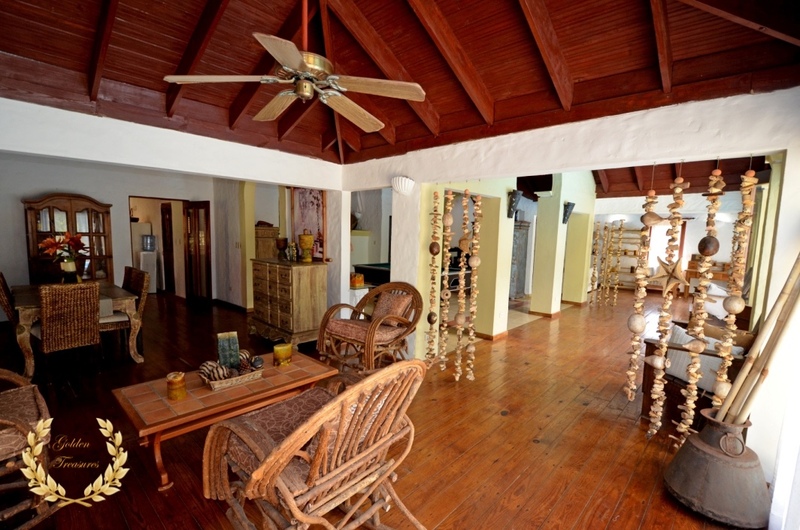 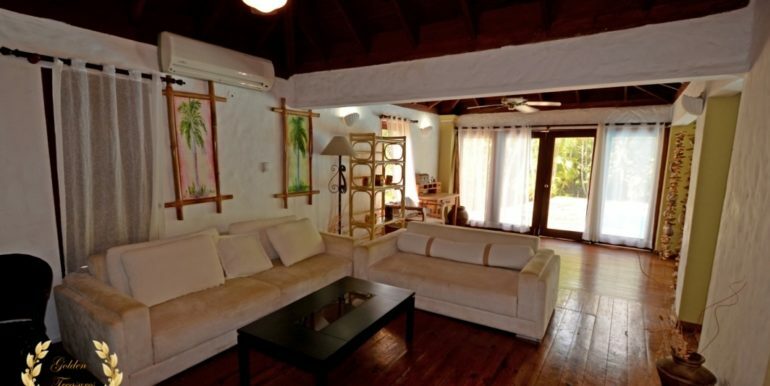 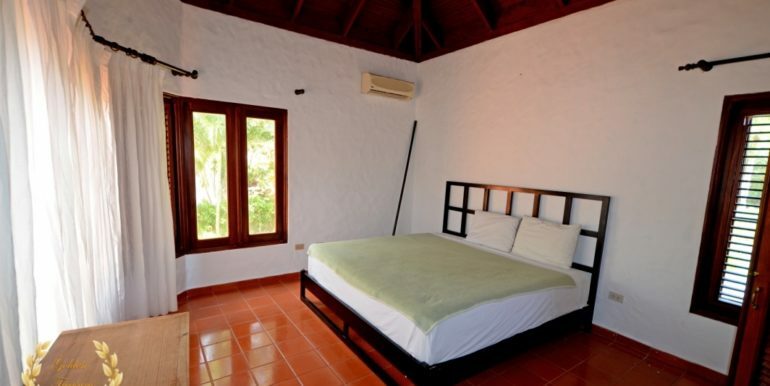 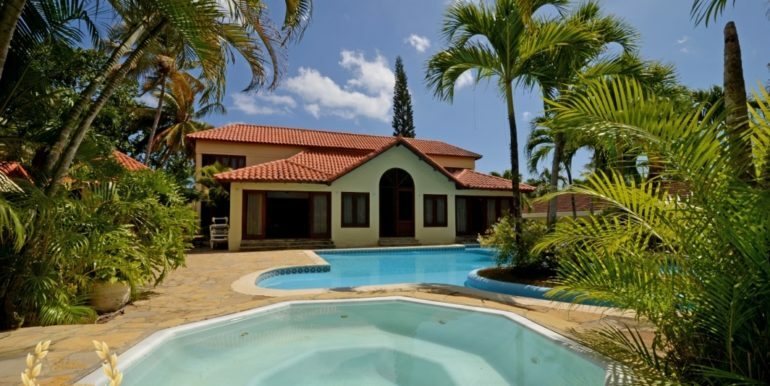 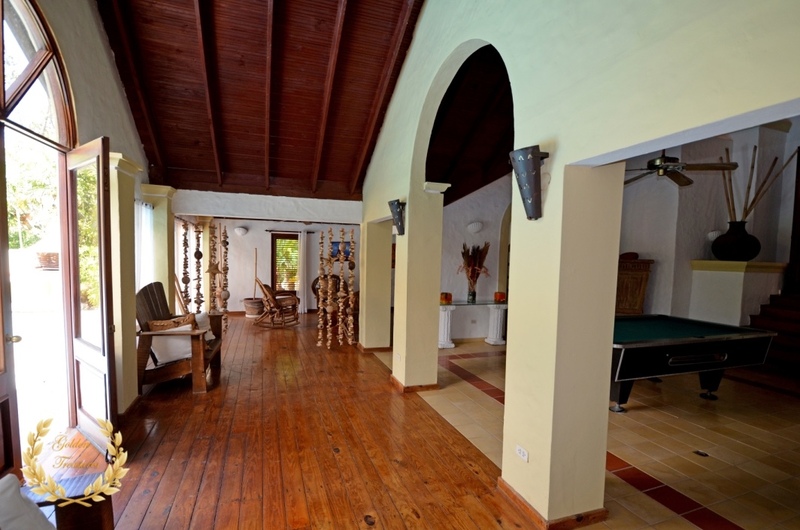 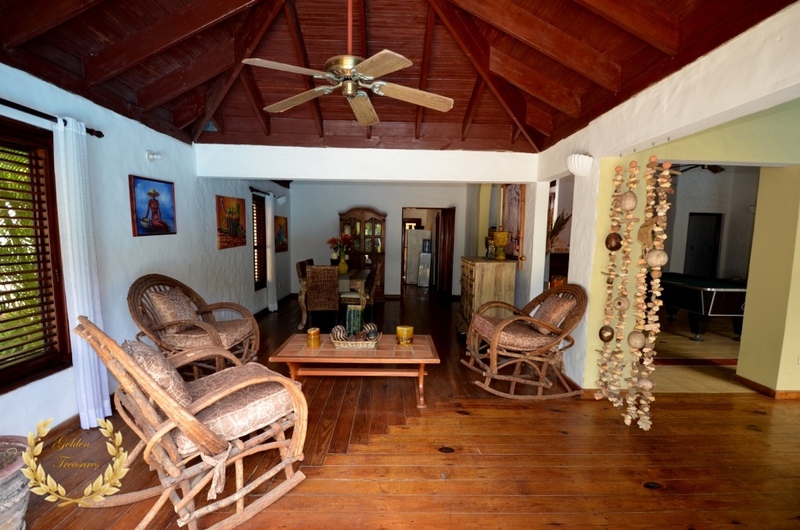 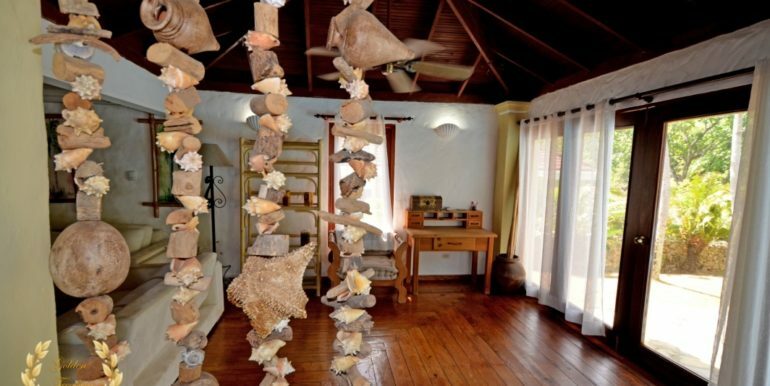 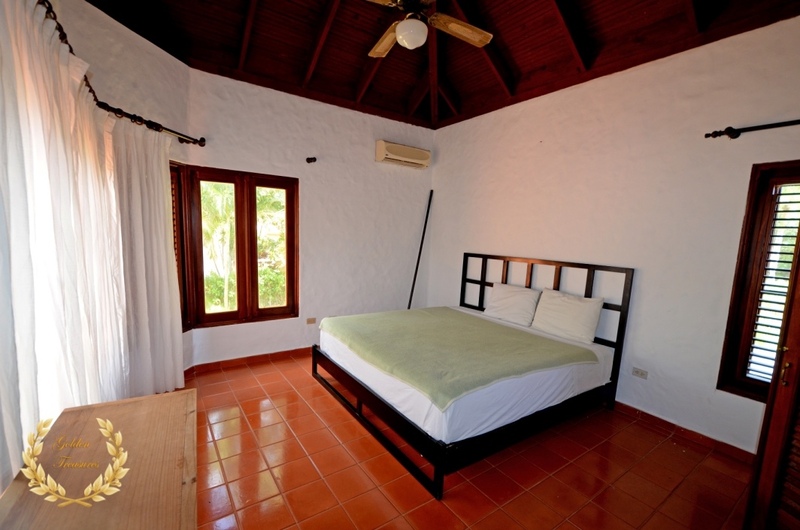 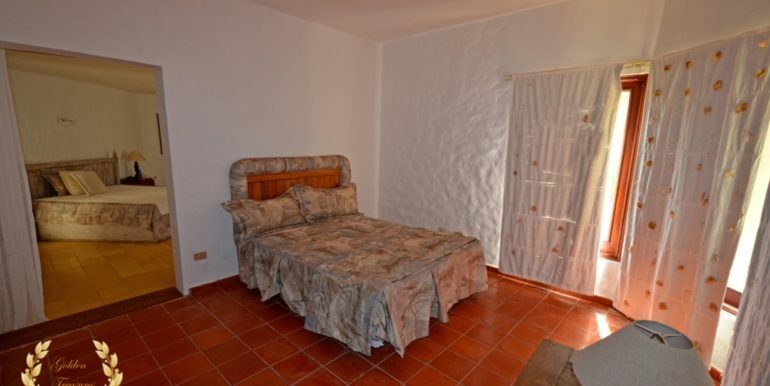 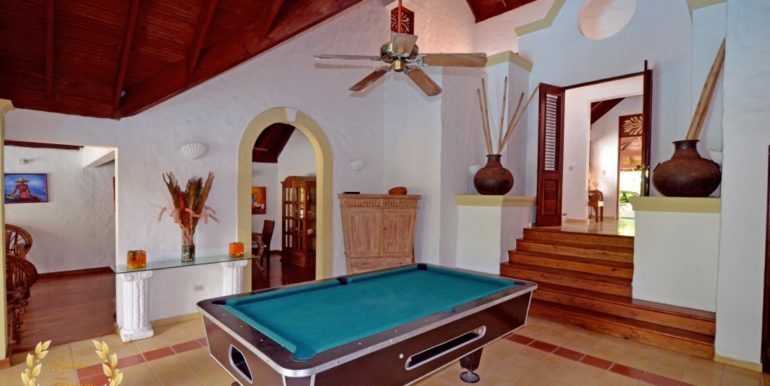 The villa has a Spanish Mediterranean style with tall wooden ceilings, red clay roof tiles and wooden flooring. 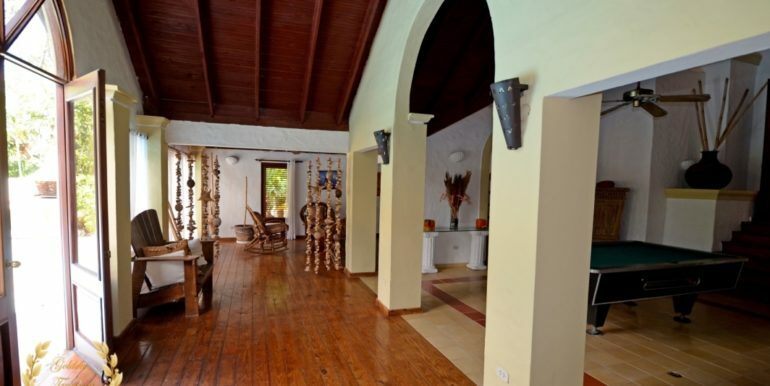 Its main facade has a carport in the middle of the driveway, with a gorgeous threshold that reminds us of classic wooden homes often featured in the pages of Architectural Digest. 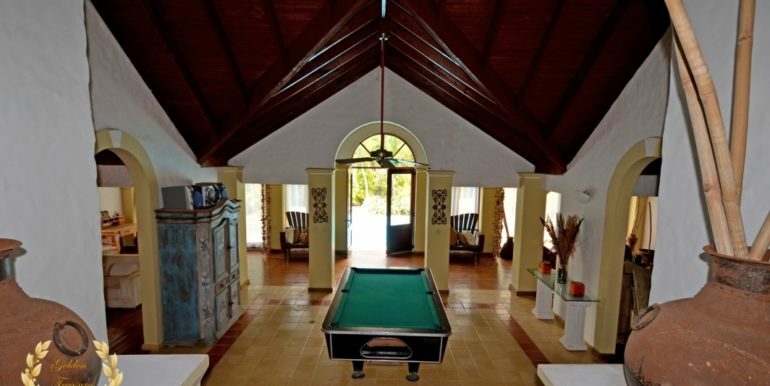 A centerpiece “lobby-like” area includes a pool table for entertainment, flanked left by a family area and left by a dining area with exquisite vintage style furniture. 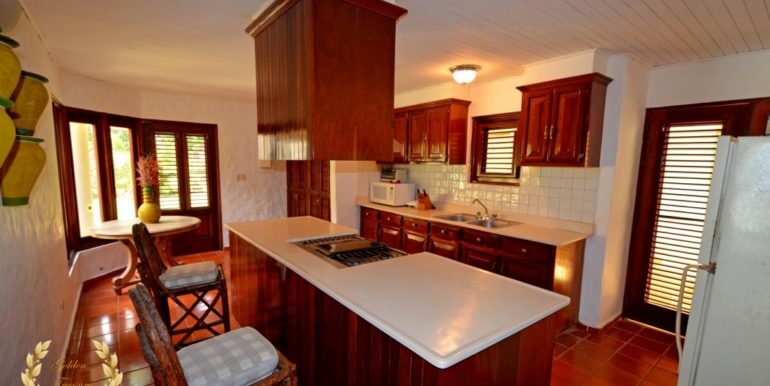 The kitchen is spacious, with a center island in white counter tops that beautifully contrast the wooden cabinets and white ceilings. 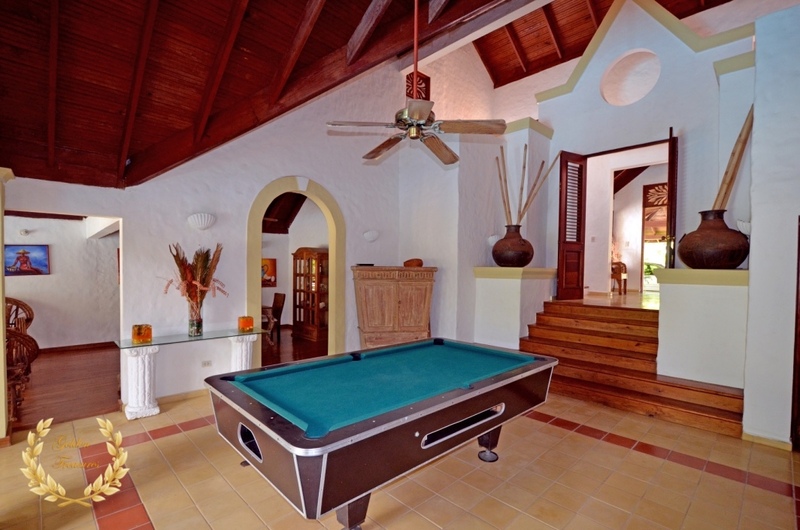 The house design layout places the bedrooms in the upper level area, adding privacy. 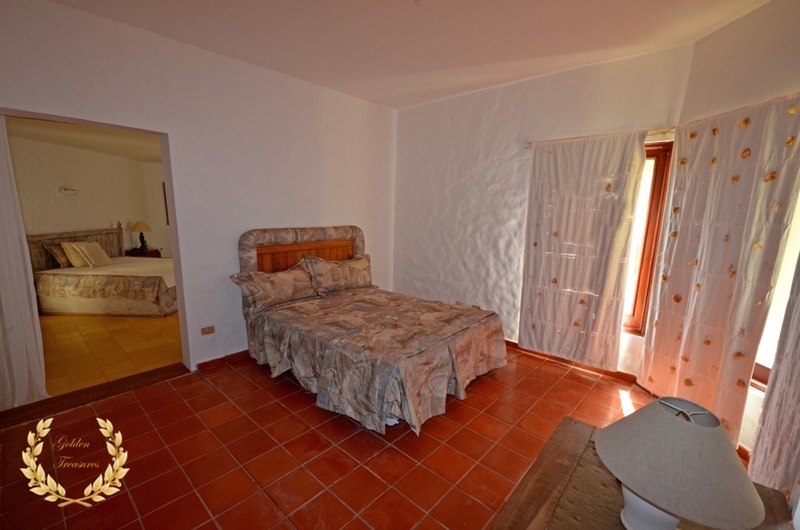 The main bedroom has a connecting room that becomes the number 4th, unless used as a private lounge or personal office. 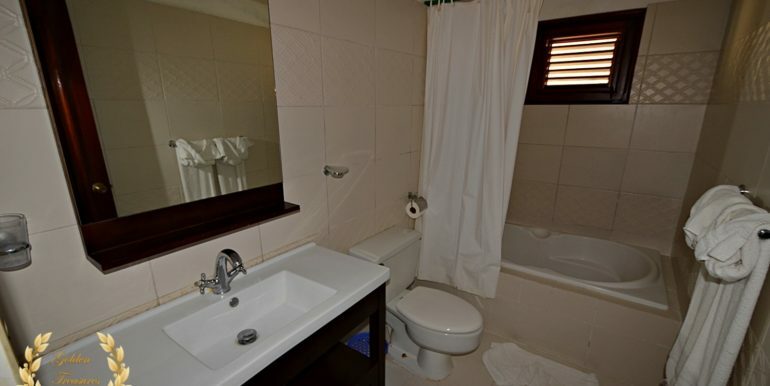 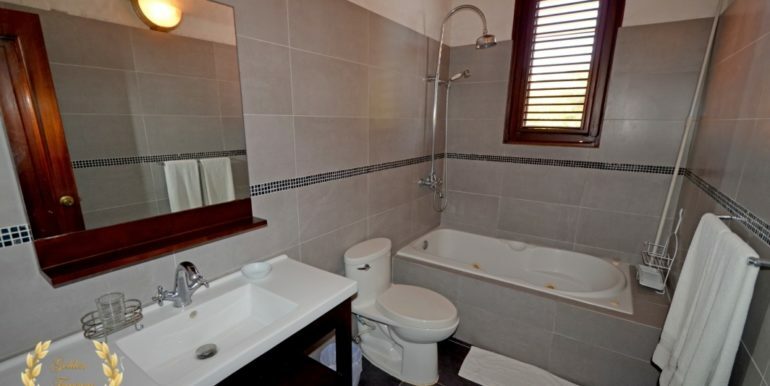 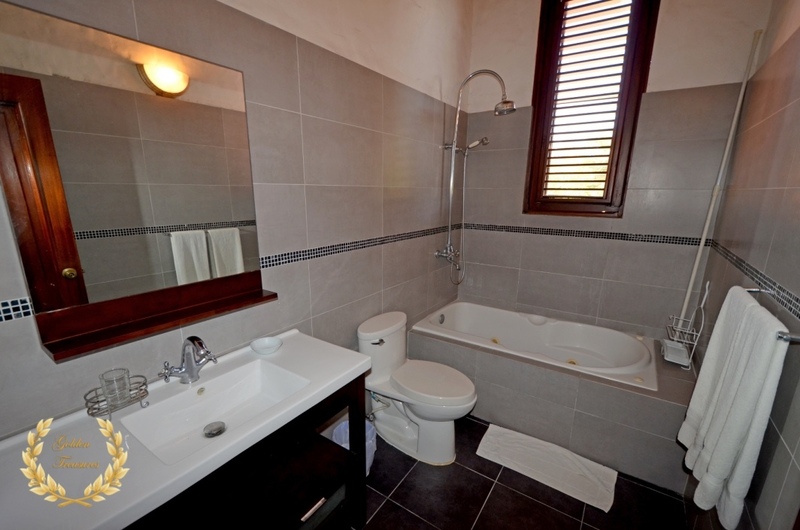 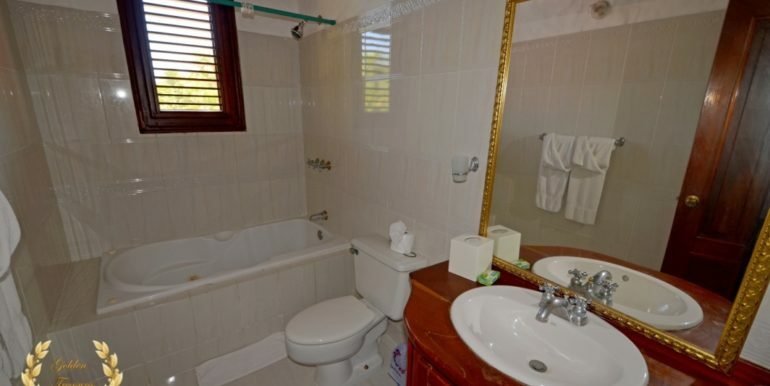 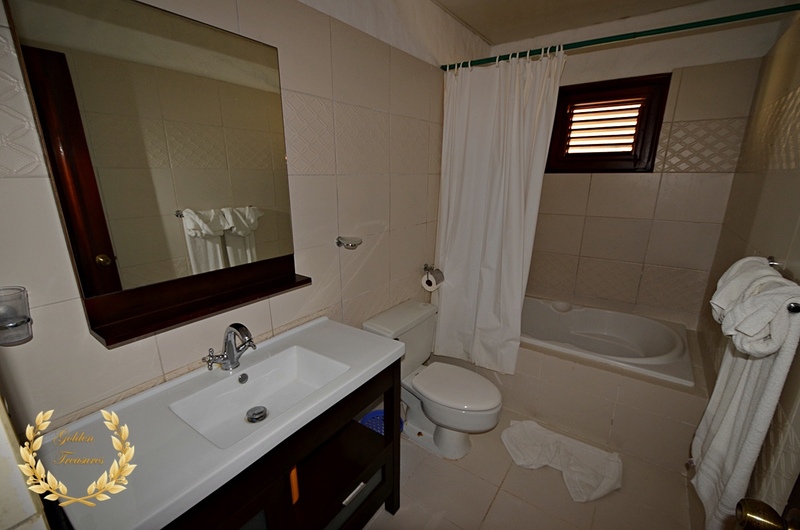 The bathrooms are all well appointed and each has its own design ( the main one feels rather contemporary ). 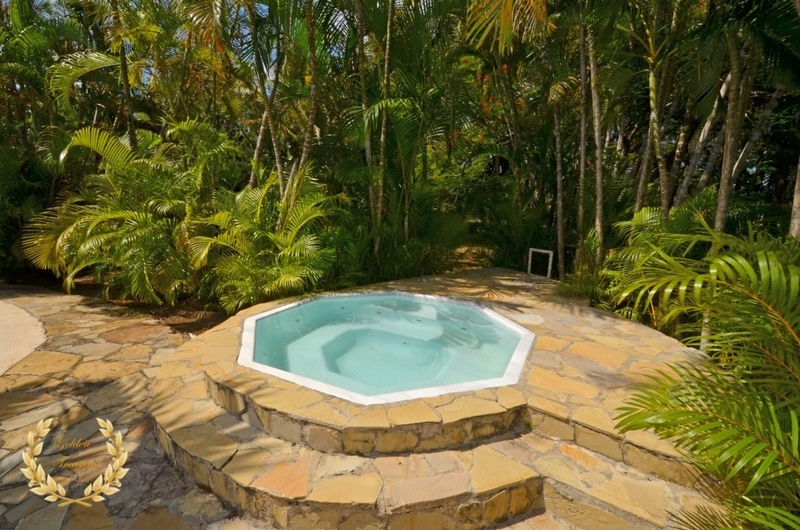 Outside, the ample deck includes a stone BBQ, large swimming pool with island and palms, and the outdoor Jacuzzi. 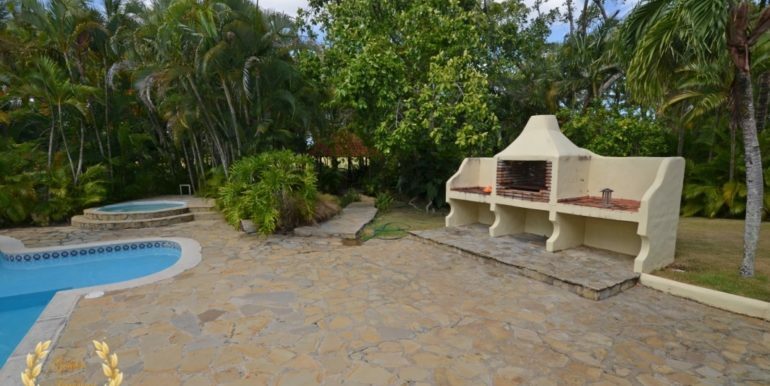 Further down the garden path there is a green lawn area and gazebo. 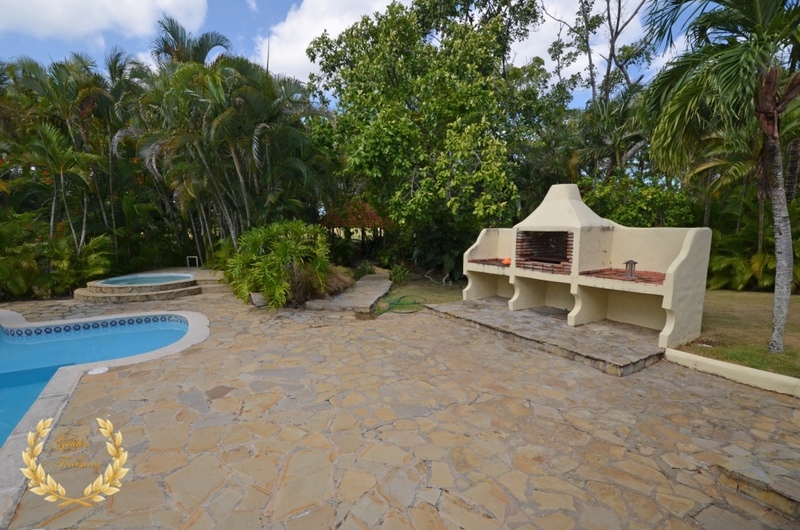 The property is fenced off and includes many mature trees and plants. 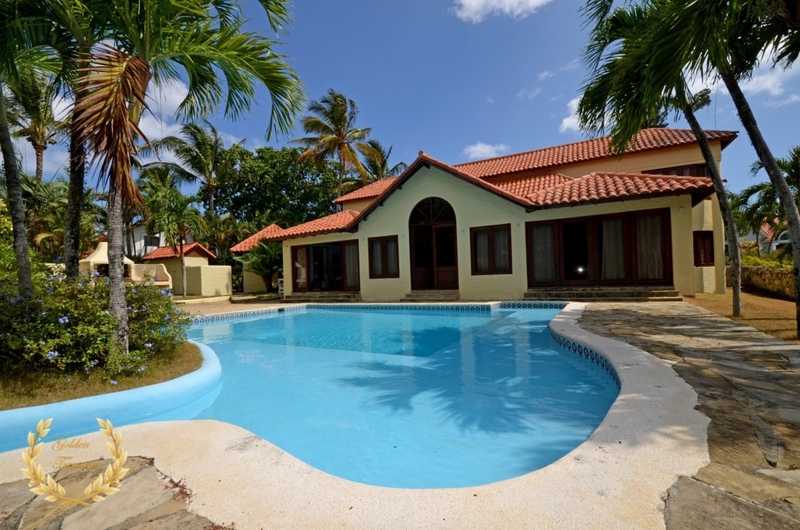 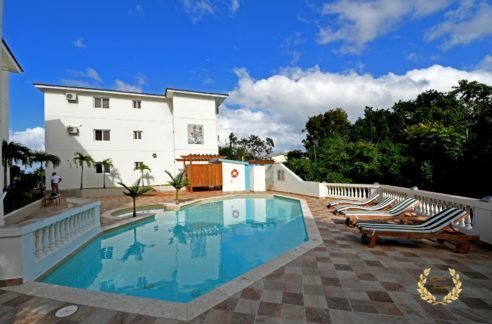 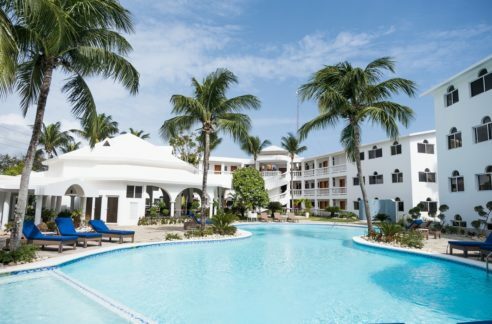 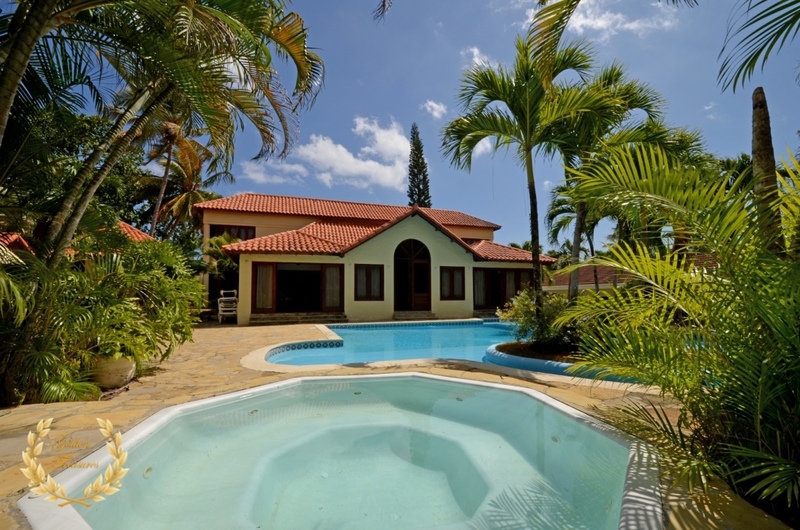 It is a very serene environment that quickly becomes a favorite to visitors, and the Sea Horse Ranch is rated as the top high end gated community in the area, including secluded beaches, beach club restaurant, tennis, horse back riding circuit, onsite management and presidential-grade security. 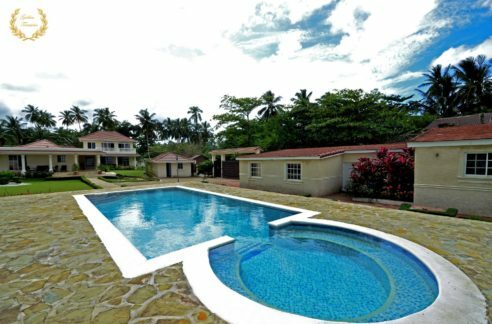 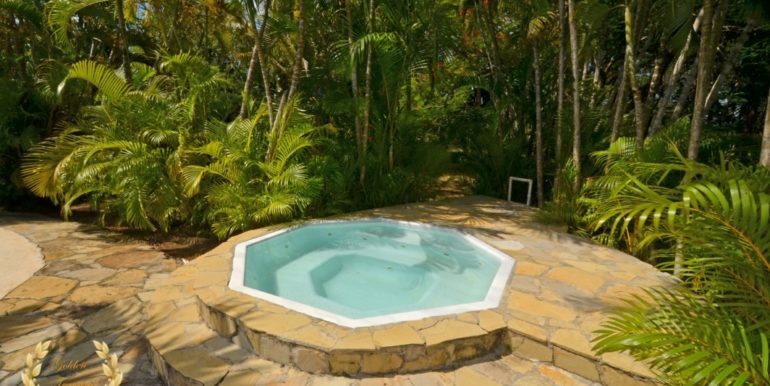 Few villas for sale in Cabarete carry the appeal and warm feeling as this one, and the price is set to sell as there are minor upgrades a new owner might want to do in the property to further personalize it into a truly fantastic Caribbean Escape worthy of a connoisseur.